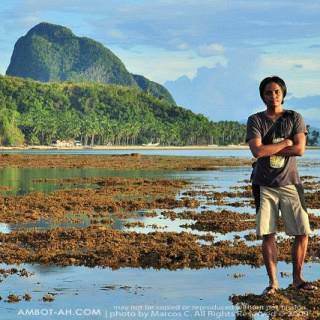 It was the start of summer and I was dying to set forth on another ultimate adventure, just as I did last year when I visited Caluya Islands in Antique. 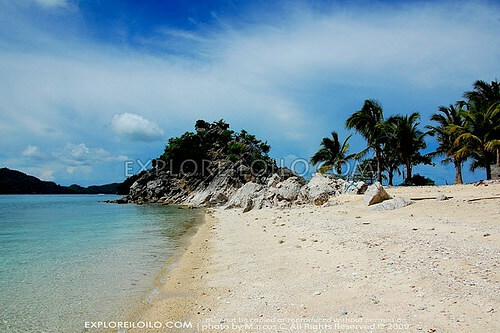 While I was on my usual rounds of the city, my friend Tara (an excellentÂ photographer I look up to) texted me and invited me to go on a 3 day trip to Isla Gigantes Sur (South Gigantes Island) in Carles, a coastal town in the northern tip of Iloilo. My fingers then took control of my phone and tada! I was booked on yet another summer escapade. The timing was a bit horrible. The day before the trip, My oathtaking (for new nurses) was scheduledÂ in the afternoon and I had made plans of shooting for a client later that night. I didn’t sleep the whole night for the exhausting photoshoot and editing of photos to be submitted ASAP. It was 4am when I finished the job and rushed to our meeting place in Tagbak Terminal in Jaro. There, I met my flickr photobuddies that I invited and new faces that Tara had invited. More than half of the group was sporting an SLR. I was thinking it was going to be a fun trip being with other people who enjoy the same things I do: traveling, and photography. 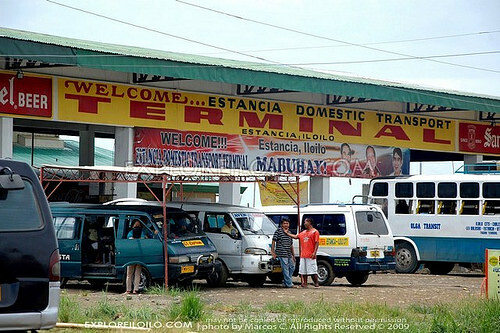 I slept during most of the 3-hour bus trip to Estancia port, the jump-off point to Isla Gigantes. Tara and her crew :) bought supplies and food when we were in the market, while we were left in the seaport taking photos and having a light snack. 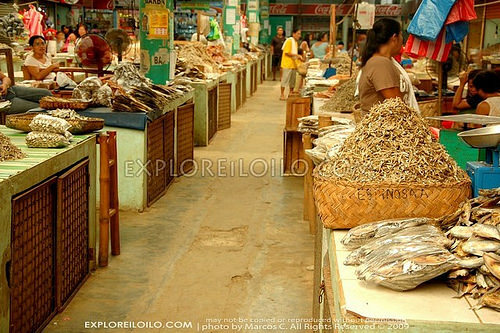 Estancia is a major port in Northern Iloilo, it’s market and seaport is filled with huge volumes of seafood. 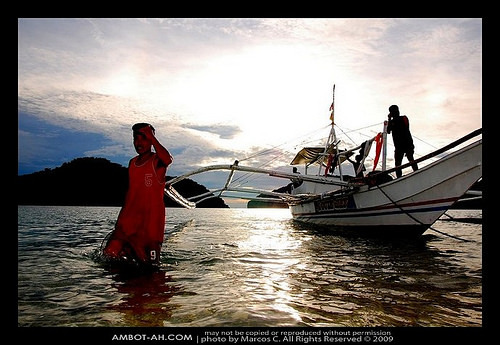 We rode a pumpboat to Gigantes Sur, which lasted for about an hour. 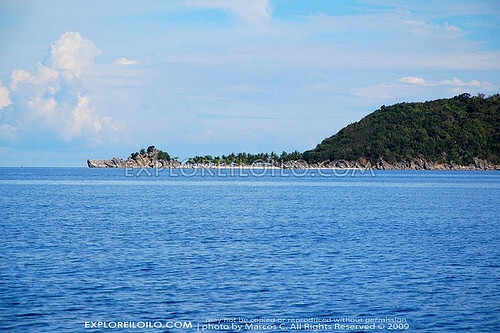 During the trip, we got to see nearby islands such as Sicogon Island (the famed Boracay of the 80s). 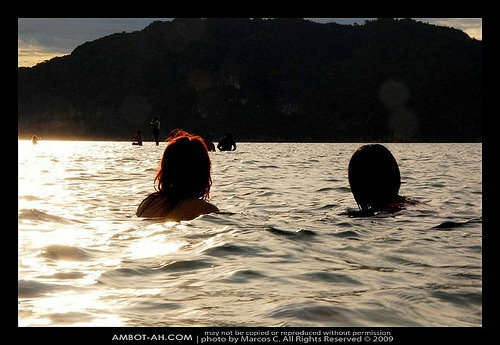 I really want to go there and see for myself what the fuzz was all about but since Sicogon wasn’t in our itinerary, I had to make myself content on seeing it from afar. 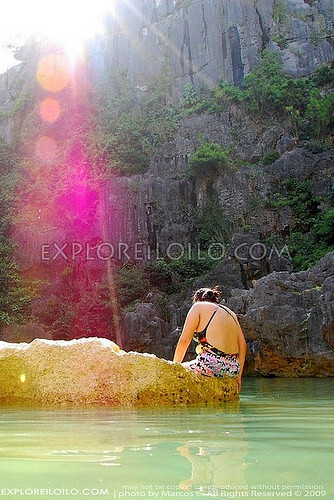 During the afternoon, we visited tangke, a natural salt water lagoon, found at the southern part of Gigantes Sur and watched an exhilarating sunset in a long sandbar in one of the islands. It was raining heavily during the night. We slept inside a tent I brought. Even though some parts of the tent were wet, we still managed to sleep the whole night. 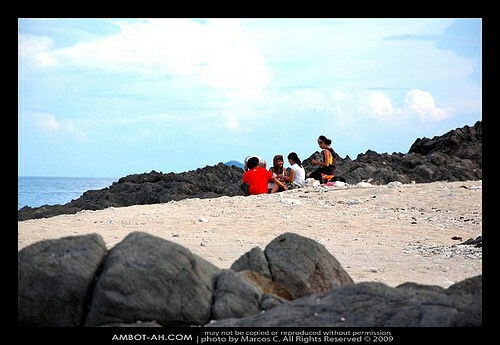 We then had lunch in the white sand beach of Cabugaw Gamay Island. This was the time when I was attacked by my gastric condition. The rest of the day was gruelingly uncomfortable but I decided not to mind it so I can enjoy the sights. 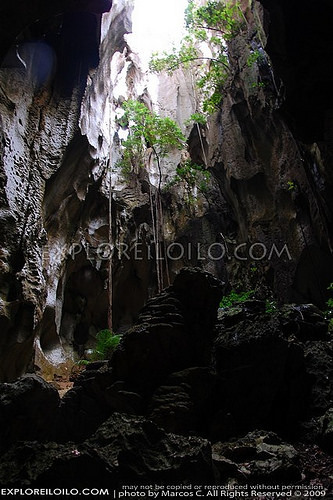 Our next destination was Pawikan Cave located near Tangke in the southern coast Gigantes Sur. 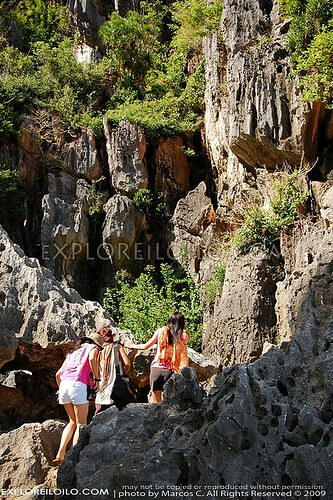 To get to Pawikan Cave, we had to undergo a steep climb (approximately 135 degrees on the average and a height of 80 feet). The suffering was worth it. The cave had many spacious caverns, many of which had holes on the ceiling forming an enchanting series of atriums. 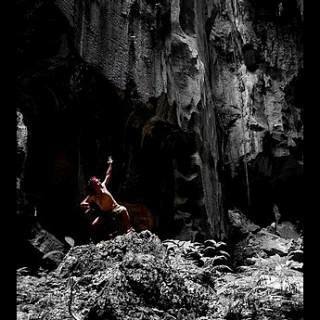 We took a lot of time taking photos inside Pawikan Cave. The locals told us the story of treasure hunters retrieving 24 gold, suspected to be part of the Yamashita Treasure, bars inside the cave. The most scenic location was saved for last. 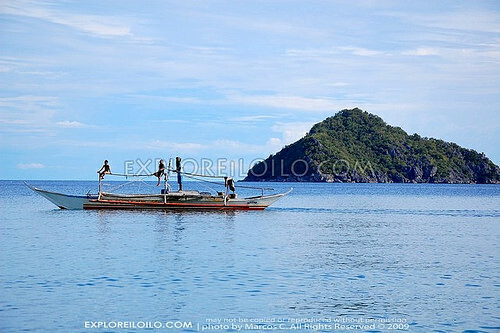 It was Pulupina Island, an islet that the locals use to “hang”. 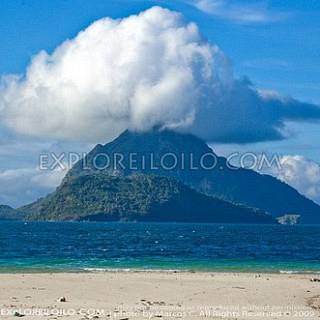 No one lives in the island because it is too small and very susceptible to natural hazards. 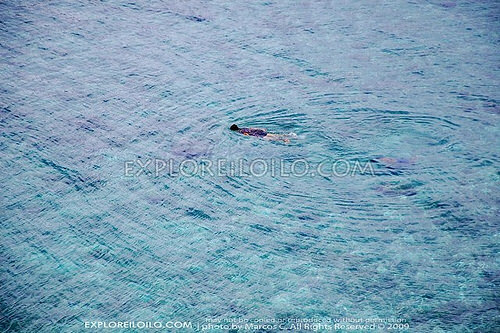 I had circled the island and went to deep sleep on the shore while other others were busy taking photos and bonding with the locals. It was indeed a fitting summer escapade. The sights were up to expectations, got to meet new friends, and had many fun moments with people I barely knew. I didn’t get to gather any information for advice on traveling to Carles though, which I really regret. Will certainly return to Carles, sometime this year to experience the things I missed this first time. Find more posts about Favorites. 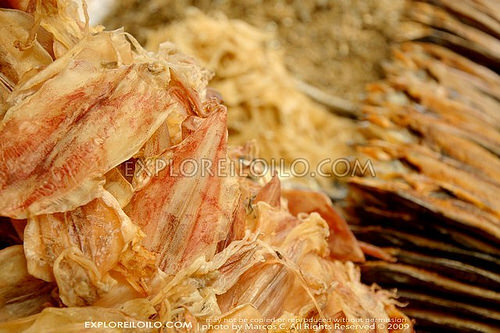 Discover more blogs and travel tips in Iloilo. wish I could view the pictures from the office. anyway, you sure had fun. Gusto ko man magkadto sicogon. SO many places to go to, wala nga lang time at enough resources. hehe. Btw, the Tara you mentioned in this entry is Tara Yap? Tell her Hello from Gene Bernabe, the sister of her former HS classmate Geselle. Great! great text and photos moi! Carles is a paradise indeed. Nice pics!!! 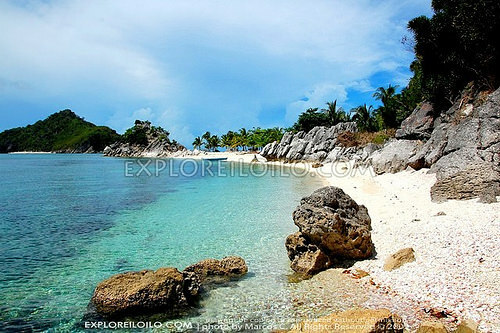 I was in Carles last April 10-16.. My relatives live in Calagnaan Island just in front of Gigantes Islands.. 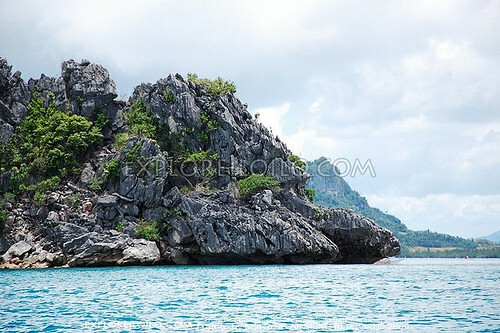 I wish I had a chance to visit these islands.. 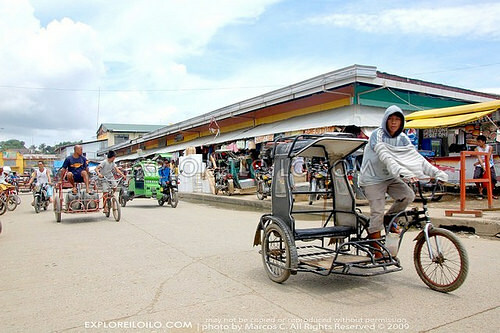 I love the way you present the beautiful places, food and of course, the ever beautiful Ilonggos.. I’m a half Ilonggo (hehehe..my mother came from Laguna)… but makes me proud to be one!! mike: Thanks! Ah so you’re from Carles. I’m not familiar with Calagnaan … lost guid ko ya pagkadto namon didto. For sure I’ll be back in your beautiful hometown, hopefully, this year. cara: Thanks gd. next time naman, hehe. Yes, kilalanay kami ni Tara. Her brother is my classmate in HS and then Tara and my younger sis were classmates in HS, too. Ahh gali. Nakilala ko si Tara the first time, I think, when I was walking in the street with my friend and he introduced me to Tara, who happened to have passed us by. Then, ara man siya mag Dinagyang ofcourse and all over the city, ti kitnay kami at times. Btw, you were a Forum-Dimensions staffer when you were in college, weren’t you? Di na kamo nag-abtanay day Cedric Jaranilla and Roselyn Lapore? Buti ka pa makakabalik this year. 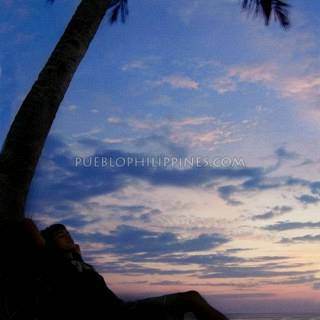 I wish I could visit again my relatives there in the near future (medyo mahal ang fare eh… hehehe.. ang layu kasi ng Iloilo sa Manila). Please go back to Carles and shoot more of the beautiful places there. Your site could help promote eco-tourism in Carles. Thanks Zee. Is your friend’s resort located in the mainland or the islands? so much thanks for this feature. Its really nice to know that there are also other people aside from us locals who admire the splendor of the islands of Gigante. I’m pretty sure you went to our part of the islands, Gigante Sur and you stayed in Brgy. 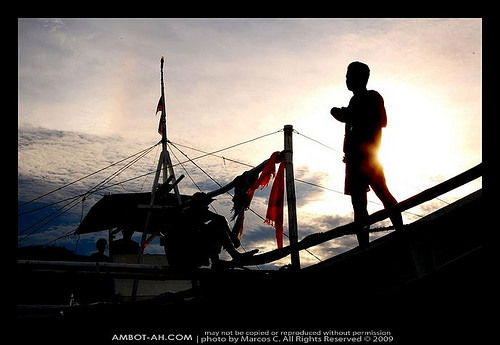 Lantangan (I am from Brgy. Gabi). 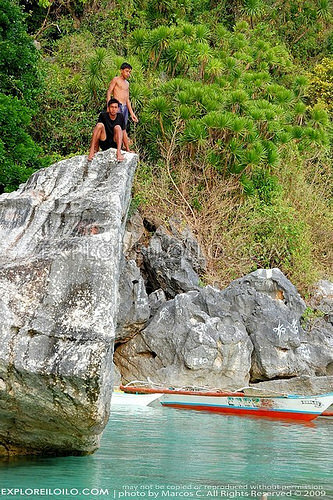 Without a second thought, I can easily point which part of the island you took your pictures and I even know the two teens sitting on top of the rock (24th picture from top). They are the sons of Brgy. Sec. Arcaya. I have been promoting Gigante in facebook and friendster through my accounts. I also took pictures of the islands and posted it but the the quality of your pictures are very good (pretty sure you have a high specs SLR), and also your angles are great. I can say that yours is the most fitting way to capture the beauty of our majestic place. For that, we will always be grateful to you. 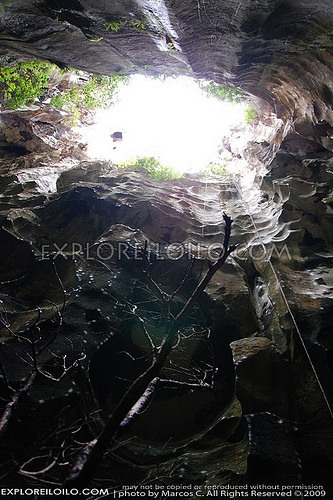 I also recommend that in your next trip to Gigante try to visit Gigante Norte and its wonderful caves, try also a climb to the summit of Gigante Sur (we call it “the Boulevard”). 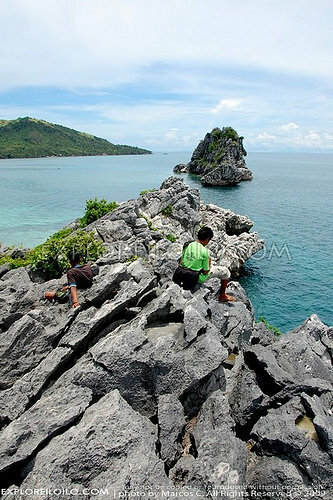 Its approximately a 1.5 kilometer exhausting climb, but if you reach the summit, the view is very rewarding. 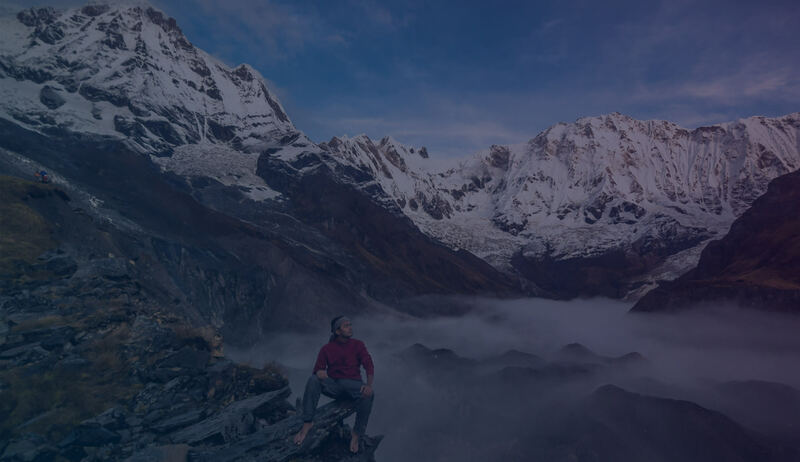 There is also a plateau where you can set up a tent for an overnight stay, just be sure to bring portable light. hi marcos! i think you’re the same person who commented on my pic in google earth that it is misplaced, but i insisted it isn’t coz i took the picture personally. Anyway thanks, and i am now an avid follower of your site. More power! 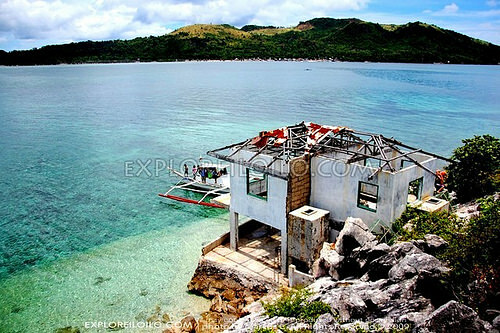 just a correction, the island with the wreckage of a house is not Waay Dahon. We call it “Beach ni Mayor” and that house remains used to be a two storey cottage. 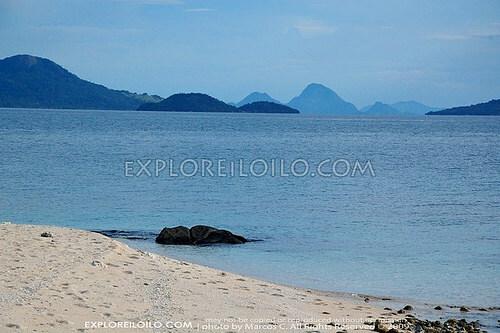 Waay dahon is the next island to the right of Beach ni Mayor while the island on the left side is Bulubadiang! 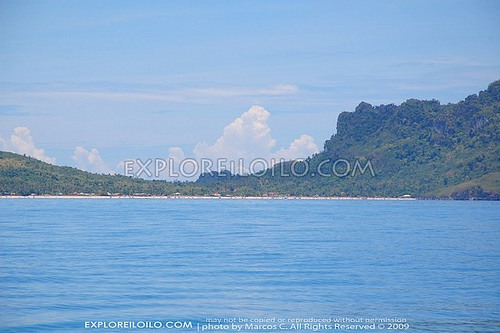 The true name of Beach ni Mayor is Gigantuna Island, next to the right is Bulubadiang or also known as Gigantito Island, beside to the left of Gigantuna are Way Dahon and Gigantillo Island. 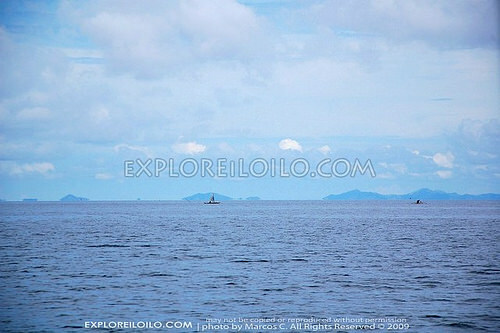 Those are the famous islets located at north bound of Gigante Norte Island. 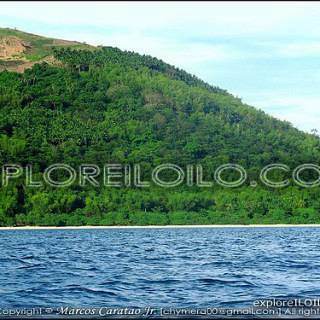 While at the east part of Gigante Sur, are the Bantigue Island, Cabugao Dako and Cabugao Gamay, Then take a few minutes to the south from Brgy. Lantangan, Gte. 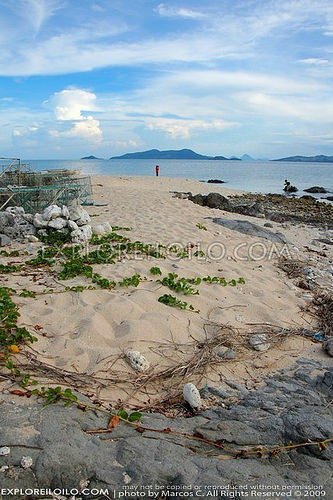 Sur, were found Balbagon Island, the little Boracay of Carles. Kung maka kadto kamo to liwat, kadto kamo sa balay para makapangayo kamo kasag, adress namon, Sitio Sapa, Purok 4, Brgy. Lantangan, Gte. Sur, Carles, Iloilo, pangita a nyo lang si Deoscoro, papa ko na. 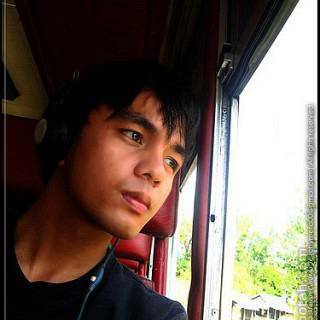 thanks guid sa comments nyo guys, Newbie pa ako sa Carles eh. I will have to take note of your corrections. Gusto ko guid mag balik sa Carles! 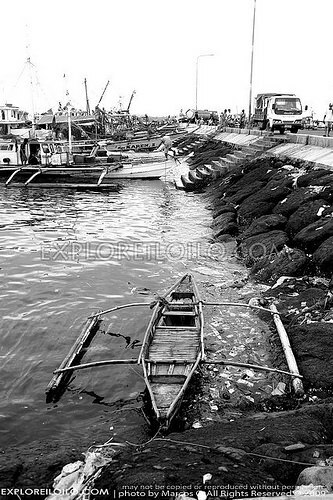 Sin-o da may kilala nga balay pwede mag stay kag may kilala nga may pumpboat pwede ma rent para maka tour sa mga isla. 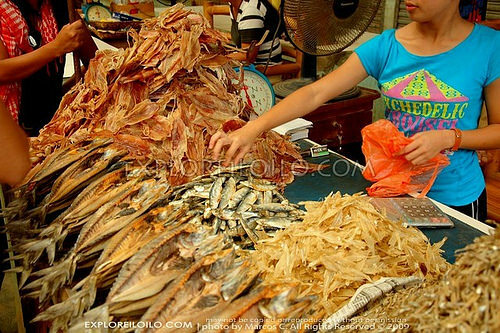 Gusto ko tani next time, kadto-an ko naman ang Sicogon, Balbagon, kag Gigantes Norte. wow! 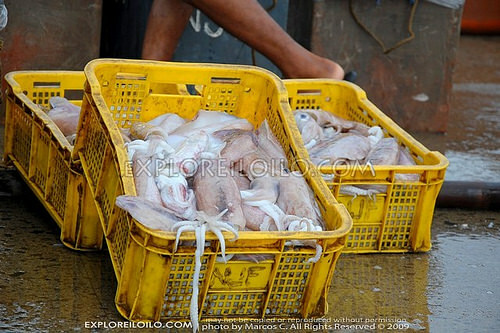 idol mga pictures mo … looks like you had lots of fun …. dala-dala pa ang san mig, hehe. 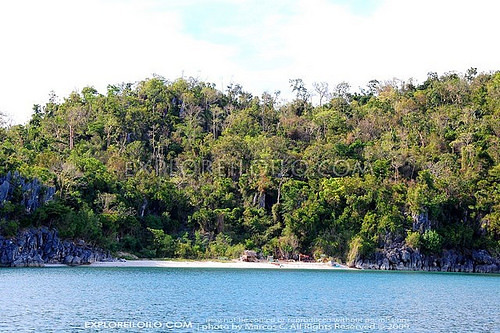 Is there a resort in Uaydayon Island or did you stay with one of the families there? At Uaydahon Island, there is just one very basic 2-level hut/house where you can sleep and do your cooking. A separate 3×2 meter structure serves as the CR/bath and it serves its purpose. I wouldn’t call it a resort but its definitely a good option to stay if you intend to spend some time exploring the Higantes area. Bringing your own tent is advisable. No store so bring enough water and food. The owner’s son, Jopher, arranged our stay there. Will try to get his cel#. 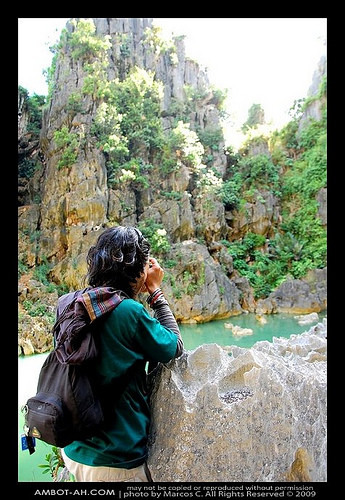 riztil zabala asked you if you have pics of Dos Hijas Resort in Carles. 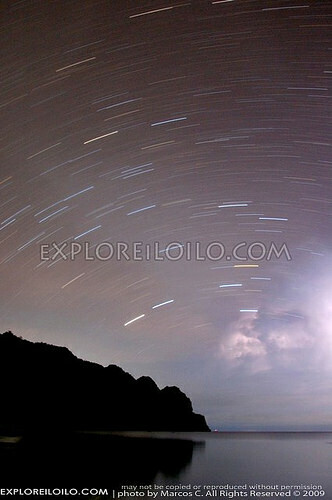 Here are 2 videos I took when we went there Dec ’08. Nice clean place. Several small aircon cottages and large fan rooms available. Beach huts/tables for rent. Resto with good menu. Inexpensive rates, food, and beer! Operated by an Ilongga married to a european. Next to it is another similar resort also run by a foreigner. I’d give it 2 stars as a beach resort. wala guid ko kakadto sa Dos Hijas Resort or sa carles nga banwa guid mismo, asta lang ko ya Estancia. 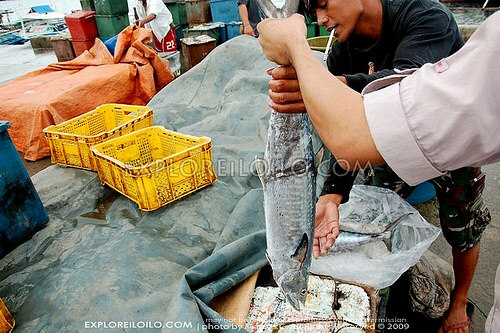 Four times pa lang ako nabakasyon sa Iloilo. Mother ko Ilonga, taga-Dingle. Diri na kami gin bata kag nagsidalagko sa Manila. 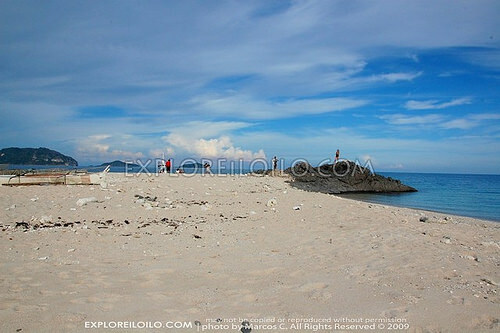 So, few places lang gid ang nabal-an ko sa Iloilo. Sa family namon ako lang ang may hilig magtravel. 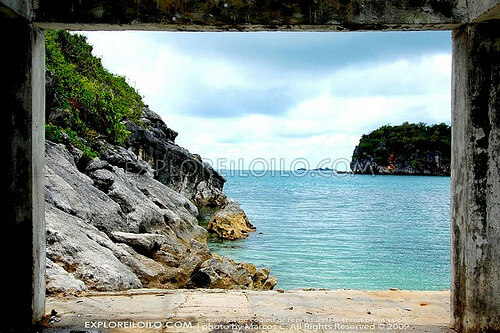 After ko mabasa imo blog, nagdecide ako nga next time nga magbakasyon liwat kami sa Iloilo, instead nga makadto kami sa Boracay ang Sicogon or Gigantes Island ang amon kadtuan. 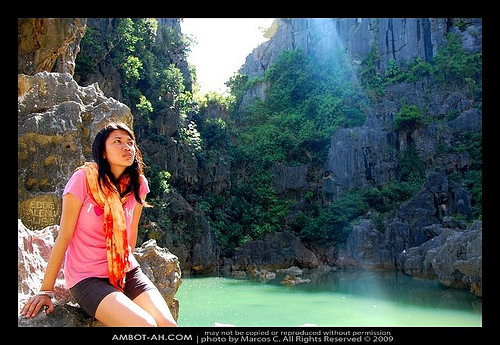 Indi man siguro ako mabudlayan “how to get there” ang problema ko “where to stay” me ara ka nga marecomend sa amon. Im not really fluent in Ilongo dialect but we always practice it in our home because my mom want us to. Hope nga mabuligan mo ako.Thanks. I still do not know of resorts and contact numbers in the islands of Carles. Most people that go there stay at the houses of residents. 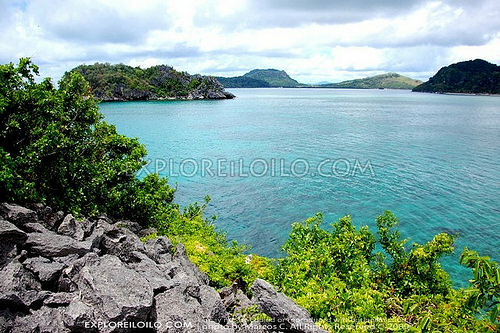 Gigantes Island is part of Carles but the best way to go there is thru Estancia port. @Gene: Do u know Sharon Bernabe? kewl. Hope your trip pushes through … Carles is beautiful! 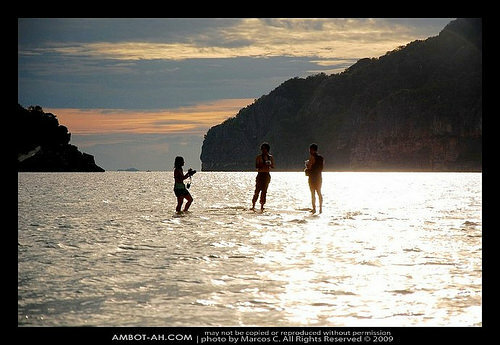 hello… i was so upset today coz my trip to Palawan was postponed due to some seminars though i’ve been there several times. 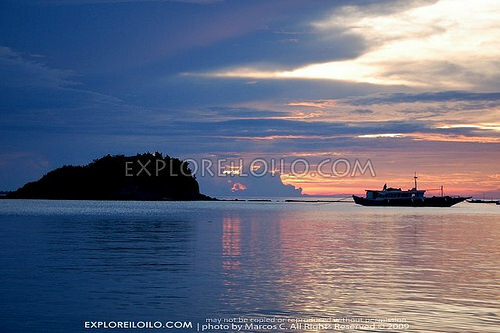 My friend invited me for a trip to Isla Higantes this coming April 22. Im a little bit excited although don’t have an idea what the place looks like despite the fact that i heard the said island several times. 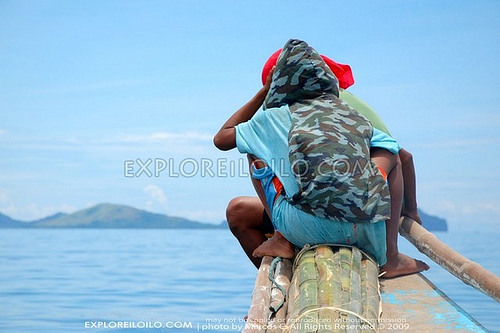 But Ive been to Isla Bito-on last year with my aunt but failed to go to Isla Higantes. 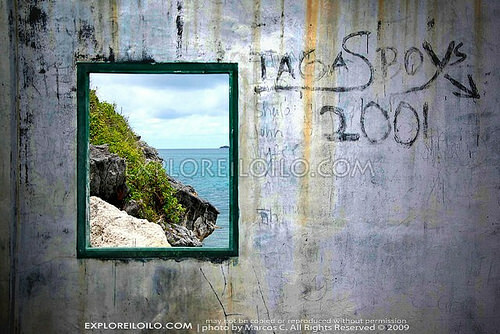 Im so happy for you that you posted a lot of pictures about Isla Higantes… Very wonderful. This time i don’t have a second thought of going there. Thank you very much… And i want you also to congratulate for capturing and posting beautiful pics during your travel… Hope you ‘ll post more. 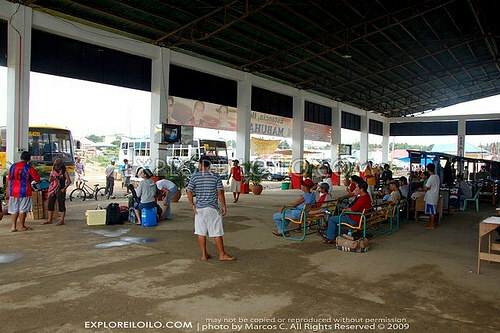 This could help your fellow ilonggos as well as some tourist to visit our beloved ILOILO!Keep up the good job… God Bless! 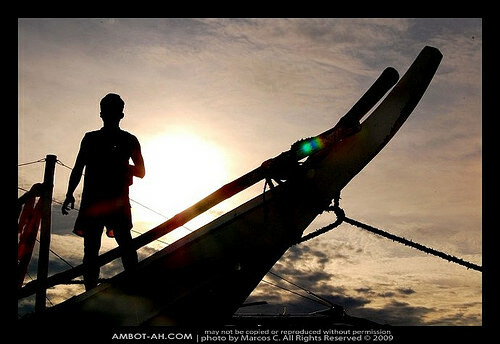 hello… i was so upset today coz my trip to Palawan was postponed due to some seminars though i’ve been there several times. 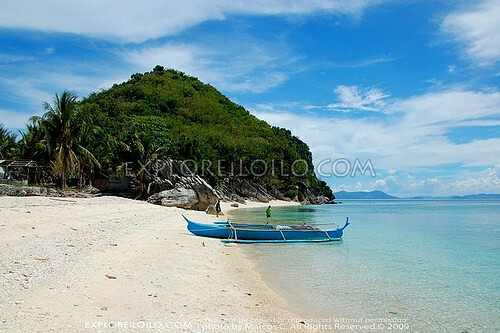 My friend invites me for a trip to Isla Higantes this coming April 22. Im a little bit excited although i don’t have an idea what the place looks like despite the fact that i heard the said island several times. 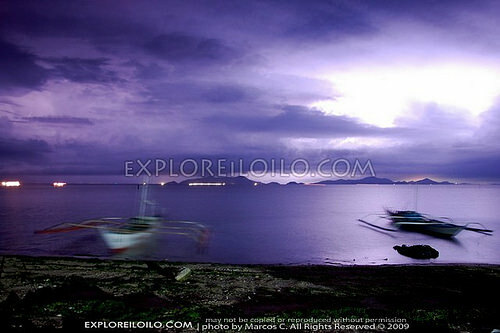 But Ive been to Isla Bito-on last year with my aunt but failed to go to Isla Higantes. 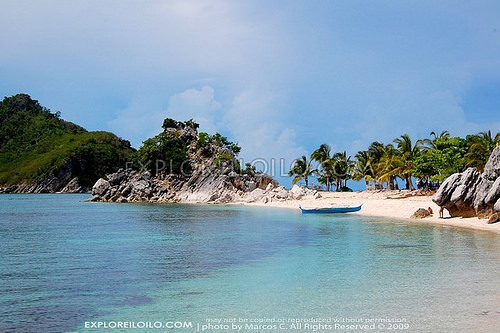 Im so happy for you that you posted a lot of pictures about Isla Higantes… Very wonderful. This time i don’t have a second thought of going there. Thank you very much… And i want you also to congratulate for capturing and posting beautiful pics during your travel… Hope you ‘ll post more. 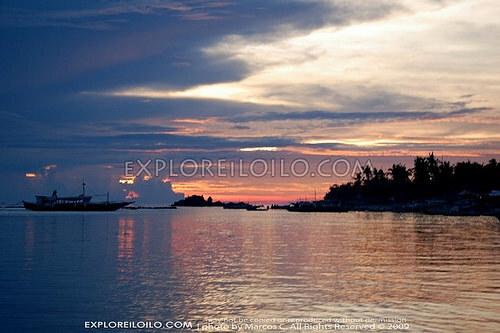 This could help your fellow ilonggos as well as some tourist to visit our beloved ILOILO!Keep up the good job… God Bless! 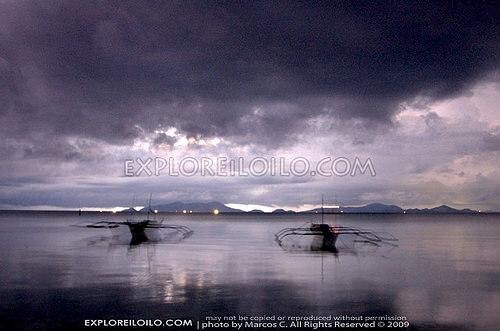 We’re also from Iloilo City. 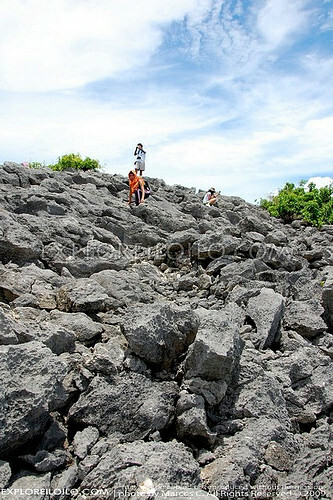 If you will make it to Isla Gigante. Ask People if they know Alpasan family in Seattle, WA . My late mother in law own a house and property in Isla Gigangte. 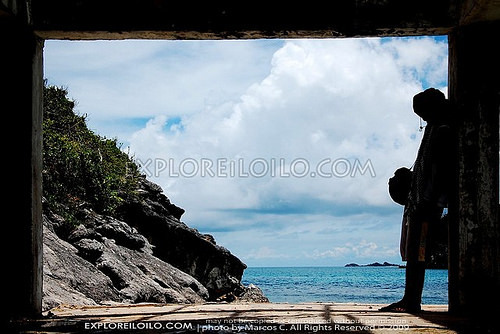 at last… nakadtoan ko na gid man man… a wonderful experienced at Isla Higantes… I do realized that there is nothing more beautiful in life than to experience beauty itself! 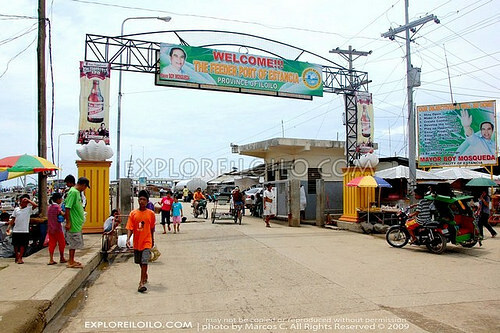 Wow ang ganda naman sa iloilo. Ang dami talaga magaganda sa pinas. 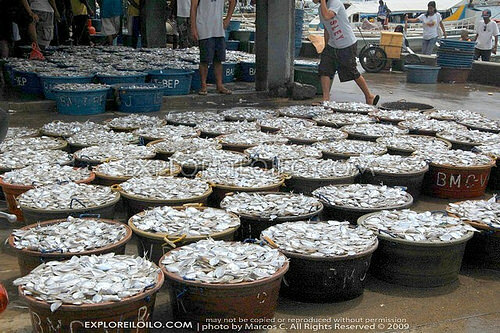 Ang lalake pa ng mga seafood. Looks Yummy. Do you have any more pics? My mom owns the Louie Jay boats you went with. You stayed with the Deocades family, right? My mom moved the Holland to marry my dad. So we currently live in Holland. 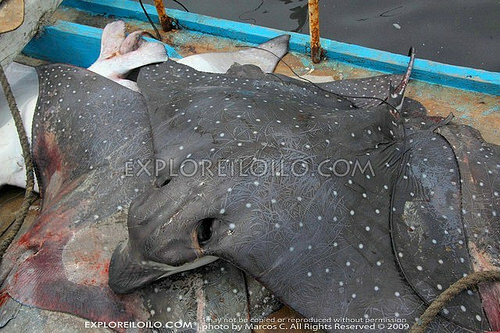 We sometimes visit Gigante sur for family visits, love the island. Looking forward to your reply! Those are most of my pics. I would love to come back to take more photos next summer. 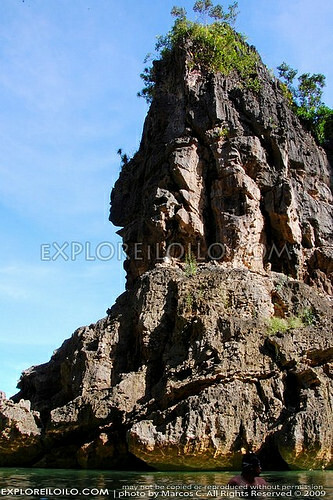 There are no resorts in Gigantes. I stayed with the locals when I went there. 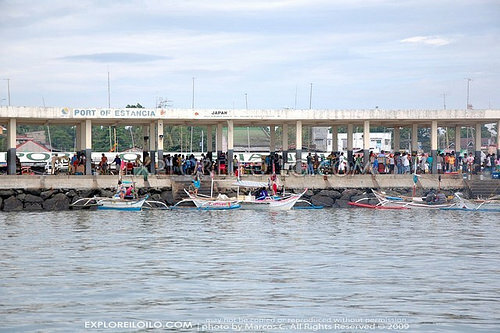 There’s a daily pumpboat service from Estancia Port to Brgy. 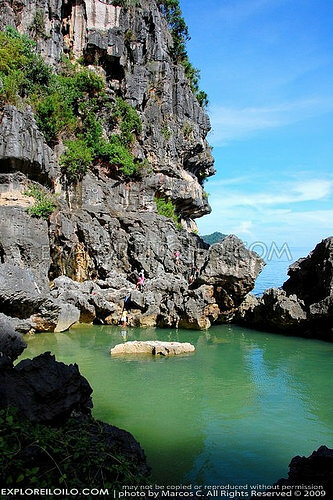 Lantangan, Gigantes Sur. 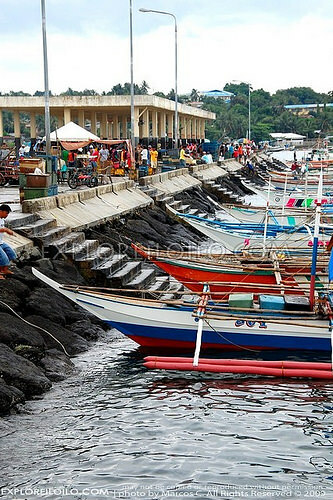 The boat leaves at 2PM but I suggest being at the port around 12nn (or earlier). 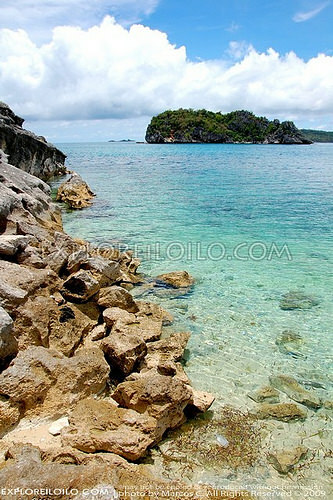 At Gigantes, we paid P2,000 (check ko lng ulit, di ako sure) for the island hopping tour. 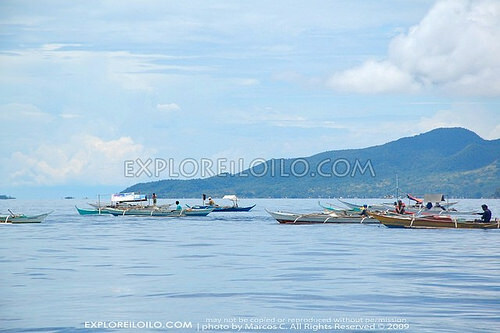 You can also do a day trip from Estancia but I’m not sure how much the boat rental costs. hello,louie jay rina deocades is ur cousin right?